Thirunangoor is one of the 108 Divyadesas. Thirumangai Azhwar in his Mangalasasanam sings the deity here as Ayodhya Rama. Not only those who sing the glory of this lord but even those listening reap the benefits. The Lord fulfills the desire of a devotee chanting Vishnu Sahasranama for 48 days continuously and completes this fasting with a special puja on the last day. The Lord shows a solution to any problem of the devotee. There is no special Sannidhi for Vanpurushothaman in other Vaishnava temple. Acharya Manavala Mamunigal spent two years in the shrine in the service of the Lord. There are three Anjaneyars here, one before Ramar Sannidhi appearing in all humility covering the mouth with both hands. There will be no weeds in the Thiruparkadal; It is in the north of the temple. The Lord is very fond of the Shenbaga flowers. We have the Saivism story of Thirugnanasambandar to whom mother Parvathi fed the milk. We have in Vaishnavism a similar incident of the Lord creating a milk ocean itself for a hungry child. The Lord is Vanpurushothman. The Lord is worshipped here as Sri Rama. Maharshi Vyakrapatha came to the garden in the temple with his child Upamanyu. He went into the garden for picking flowers leaving the child in the entrance. The child cried for the father and for milk, as it was hungry. Hearing the child crying, the Lord created a milk ocean. Mother Purushothamanayaki fed the child. This is the only Divya Desa temple, where Maha Vishnu is known as Purushothaman. The presiding deity faces the east in a standing position along with his consorts Sridevi and Bhoodevi. Goddess Mother Purushothama Nayaki is in the southwest corner of the temple in a sitting pose. Andal, Rama, Sita Lakshmana, Anjaneya, Nammazhwar, Udayavar (Ramanuja), Senai Mudaliar are in the inner roundway of the temple. 10 days Brahmmotsavam in the month of Panguni (March-April), Pavithra Utsav in Avani (September-October) and Garuda Sevai on the next day of New moon day in Thai (January-February) are festival days in the temple. 09:00 am to 11:30 am ; 06:00 pm to 08:00 pm. 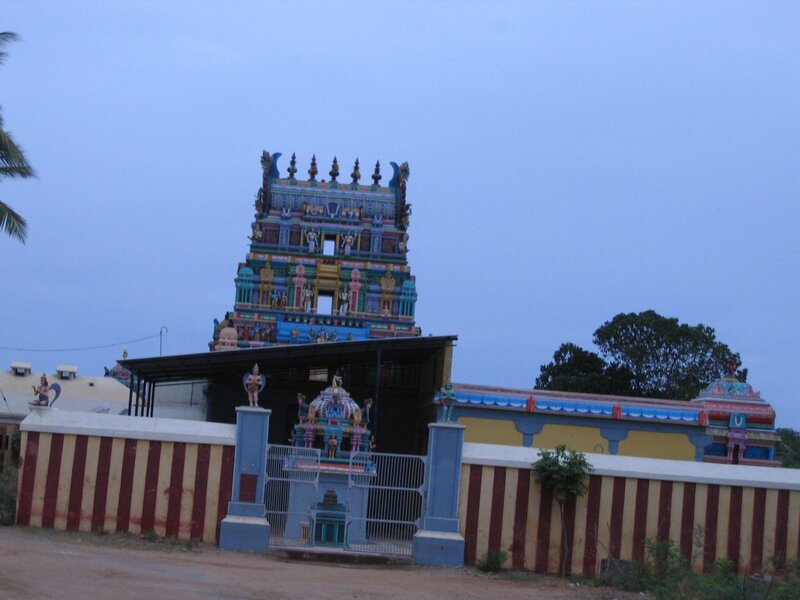 The temple lies on the Sirkali-Nagapattinam route. The visitor should get down at the Annan Perumal Koil stop and walk about 2 kms eastward. Sufficient bus conveyance is available from Sirkali, which is 9 kms from here. Nearest railway station is Sirkali and airport Trichy. Phone: 94869 09166 or 04364 266542 or 04364 256221.